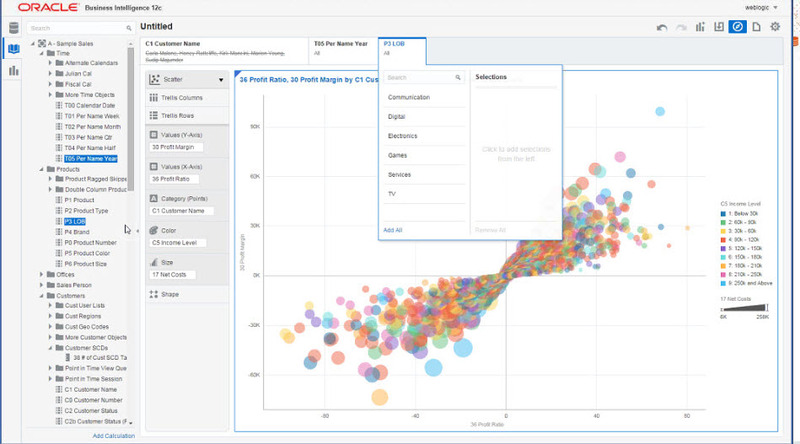 OBIEE 12c has been launched with couple of Brand new exciting features and with couple of major enhancements from its predecessor. The enhancement has been made in Visualizations, Platform Architecture, Installation and Configuration, Migration and deployment. Also major enhancement made on the directory structures and no more complicated lengthy path of Weblogic directories and its more clean and pristine. I am going to touch the UI enhancement first on Visual Analyzer (as I know this is going to be very attractive features and major highlight of this release). 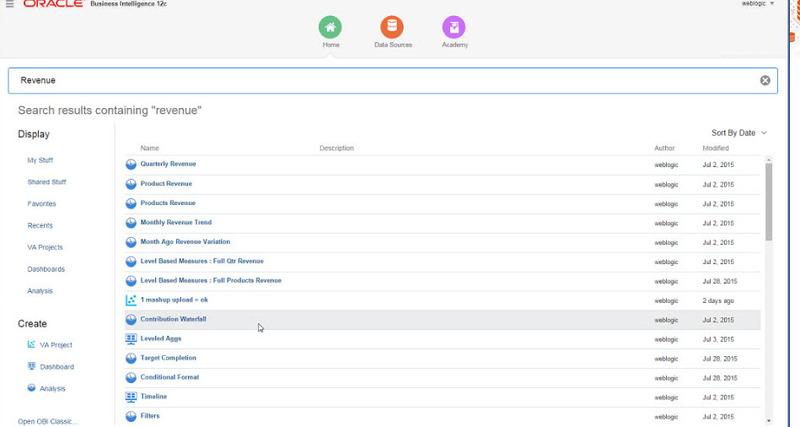 VA is a very strong web based tool has new generation Answers capability for self-service analysis. It has very easy and swift transitioning palette and quick slice and dice features. 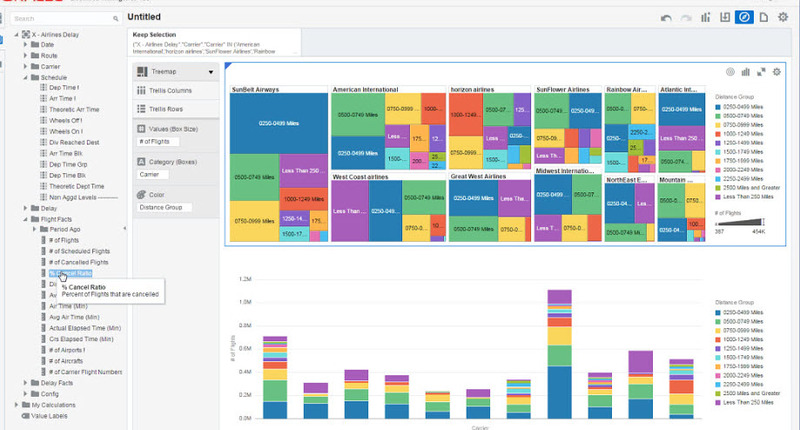 Very simple user friendly input which can create very rich graphics with different options of exploring the data, discovering the patterns and seeing trends. 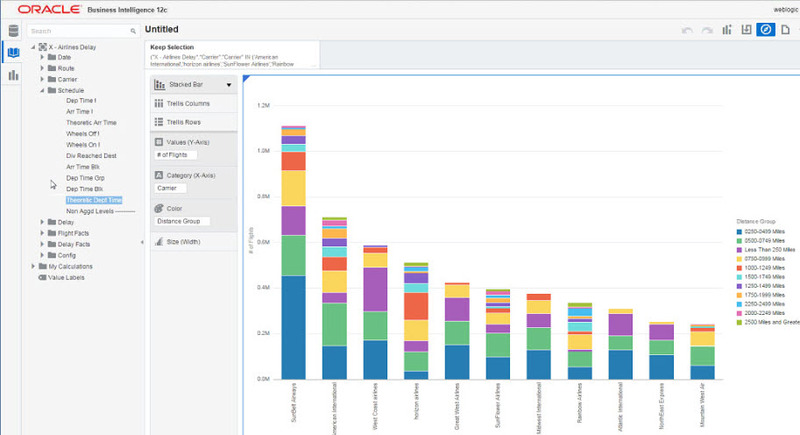 repository, which means that all your Oracle BI EE 11g data sources can be leveraged to allow users to explore existing data warehouse content. 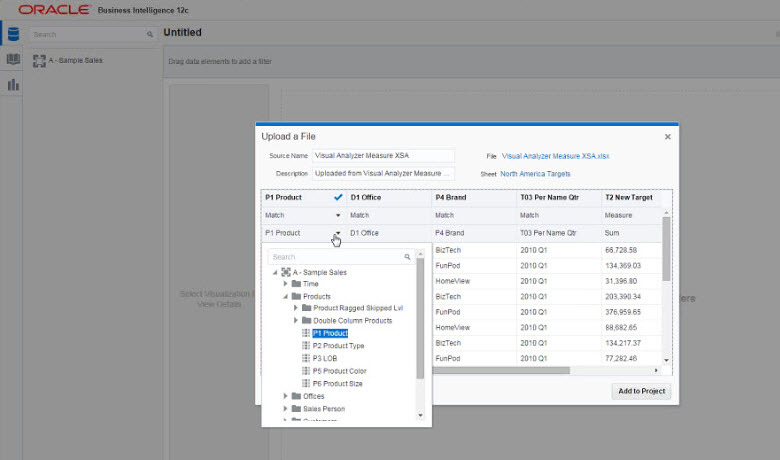 Visual Analyzer uses Presentation Services data models as a content source, relies on the catalog to store content, uses the search infrastructure to find content and relies on a common security model for managing roles and permissions. VA Integrates any kind of data source, it is powerful tool to load and model data. You can smartly blend the personal and external data. It has a nice global searching capabilities on any measure/object name like Qlikview. 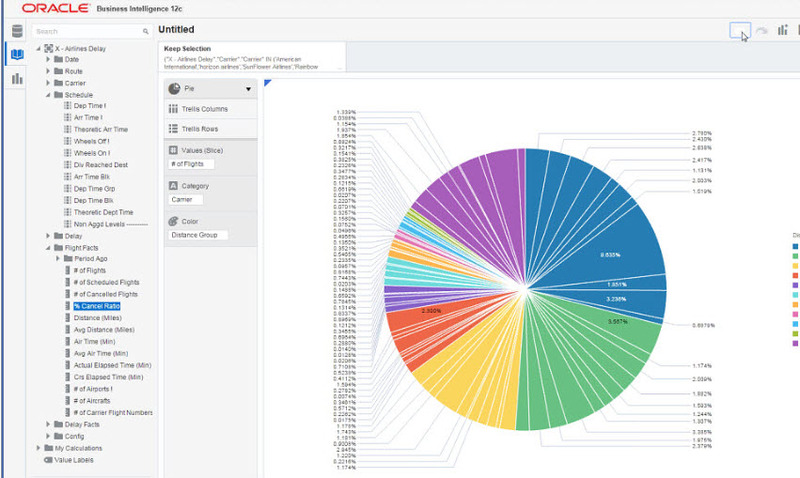 You can upload your own datafile like xls data , match with existing OBIEE model and generate on the fly customized reporting. Internally its logical SQL extension to directly call external data. 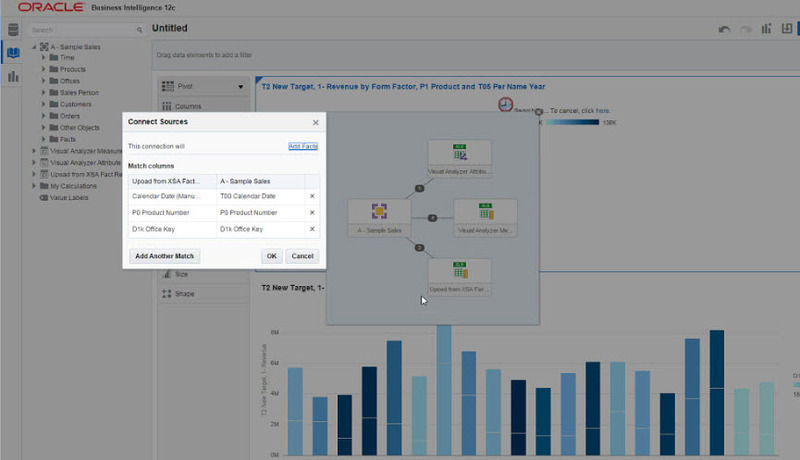 Just in time modelling with measures and attributes, mashup across enterprise and user defined data. 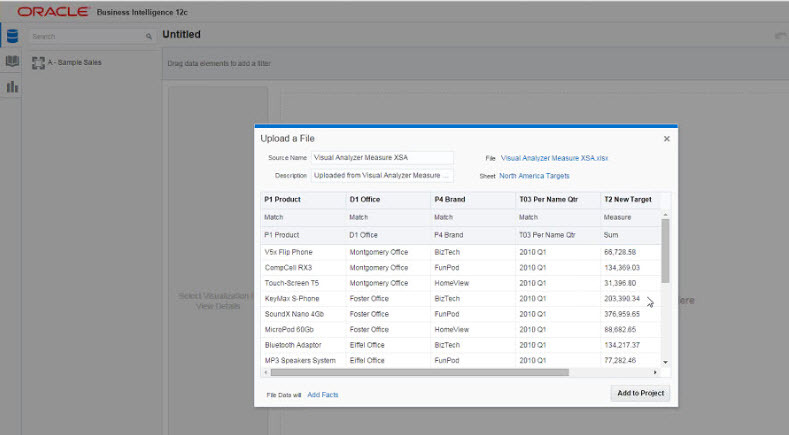 Data mashup also include OBIEE embedded data store for user uploaded files. 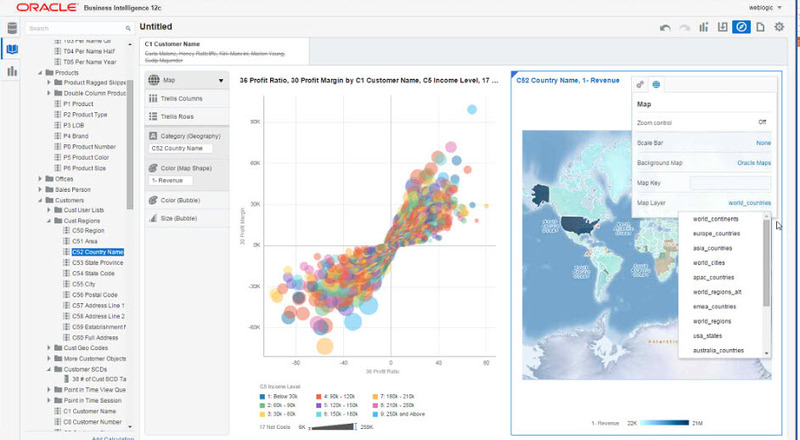 Predictive analysis is more tightly integrated, enabling customers to more easily forecast future conditions based on existing data points, group elements that are statistically similar, and expose outliers. 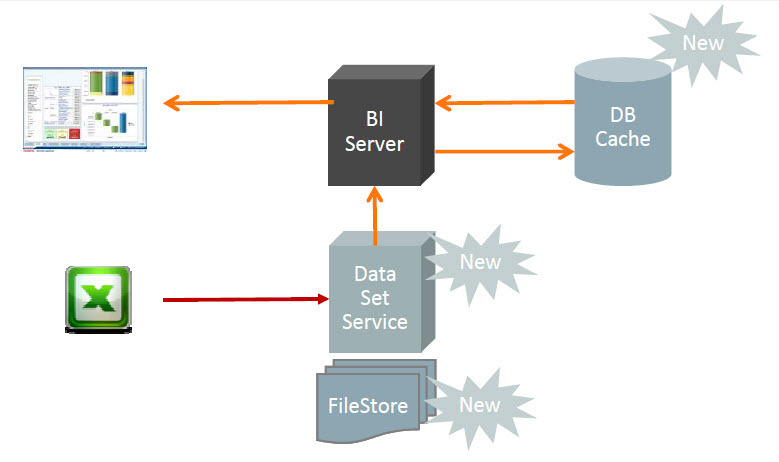 BI 12c includes the ability to run the free Oracle R distribution on BI Server, and extend existing analytics with custom R scripts, which can point to any engine (R, Oracle Database, Spark, etc.) without needing to change the BI RPD to deliver results. 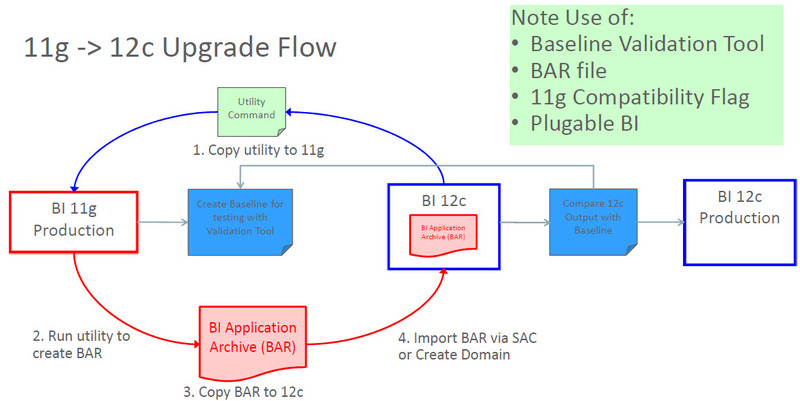 The baseline validation tool interfacing both 11g(Pre-Upgrade) and 12c (Post-Upgrade) which will give the capability of easy testing plus validating data set, Logical query pre and post upgrade. It is going to a a very essential feature and reduce lot of testing time and effort for sure. Oracle called this as Pluggable model. independently of other organizations that share the same infrastructure. Multitenancy offers the ability to host multiple companies (even competitors) in one deployment without them knowing of each other. BI 12c will use CAM (not OPMN) to manage system components.All CAM-related configuration is also stored in DOMAIN_HOME. Support offline configuration: All system and application configuration operations should be off-line. No requirement for run-time mid-tier processes to be started. No more Middleware Home and all under one Oracle_Home. 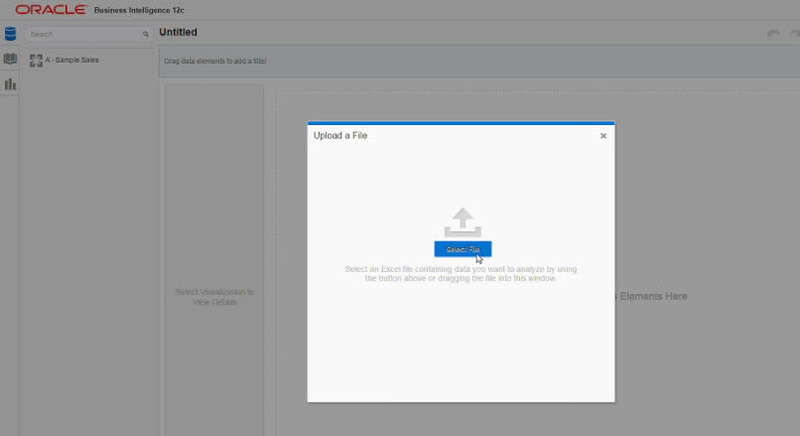 The Oracle BI Server supports the Fast Application Notification (FAN) event and Fast Connection Failover (FCF) Oracle Database configuration. It is excllent feature to add offline failover of the database connections. Fast Connection Failover enables quick failover when the data source’s Oracle database is not available. According to the documentation, This functionality will run in the background. 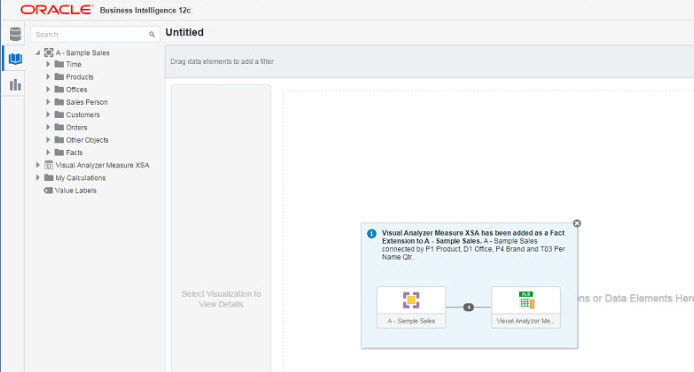 When an Oracle Business Intelligence query initiated by an analysis user fails due to the Oracle database being unavailable, the query will fail quickly and the user can then retry the query rather than waiting for the database request to time out. 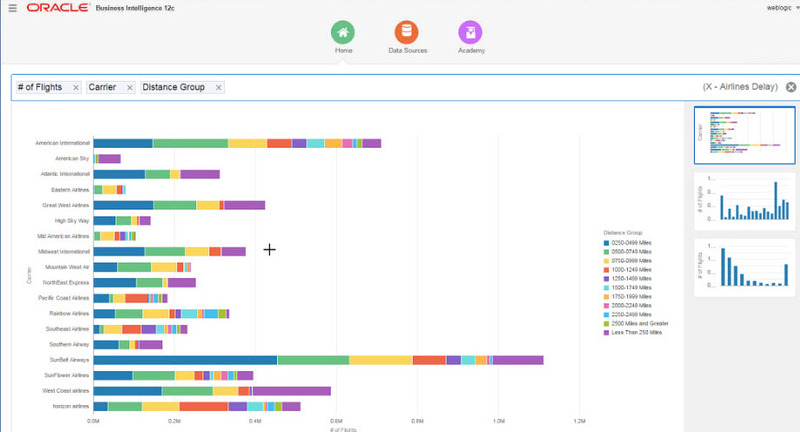 Keyword search (“BI Ask”) empowers users to literally talk to their data, asking questions and having visualizations automatically created as responses, opening up an easy entry point for authoring. Additionally, the interface for iOS has been completely redesigned; and Mobile BI for Android offers sharing and following for nearby devices, as well as the ability to project any dashboard or story to GoogleCast-enabled devices.